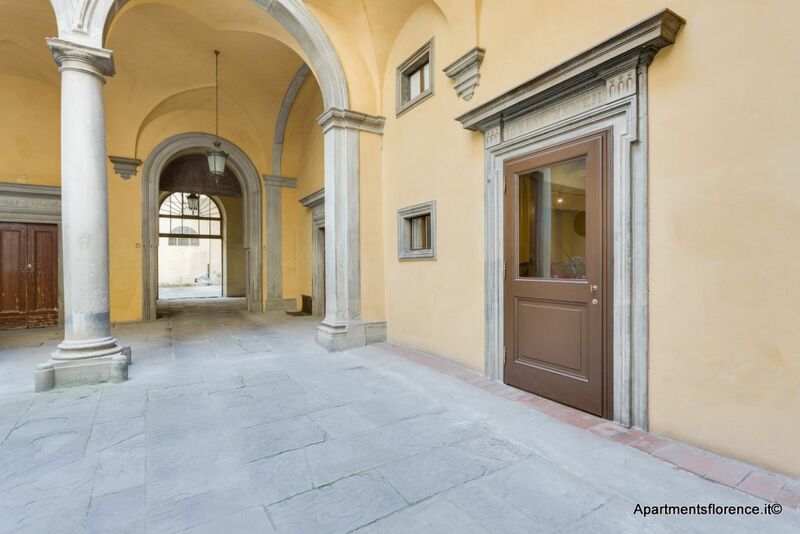 Inside a historical palace in the Oltrarno you'll find the perfect apartment in Florence: stylish, comfortable and newly renovated. 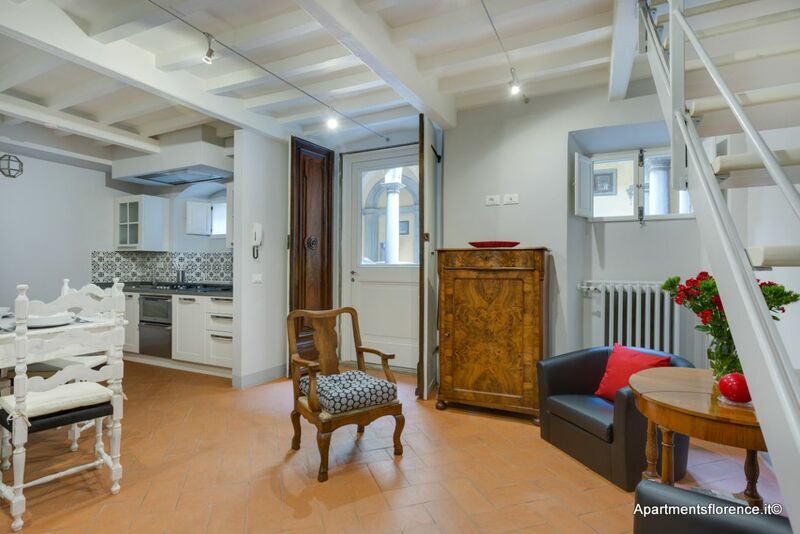 This apartment is located inside the internal courtyard of an historical Palazzo set in Via Maggio, a prestigious street of the Oltrarno area, famous for its antique shops, workshops and art galleries. 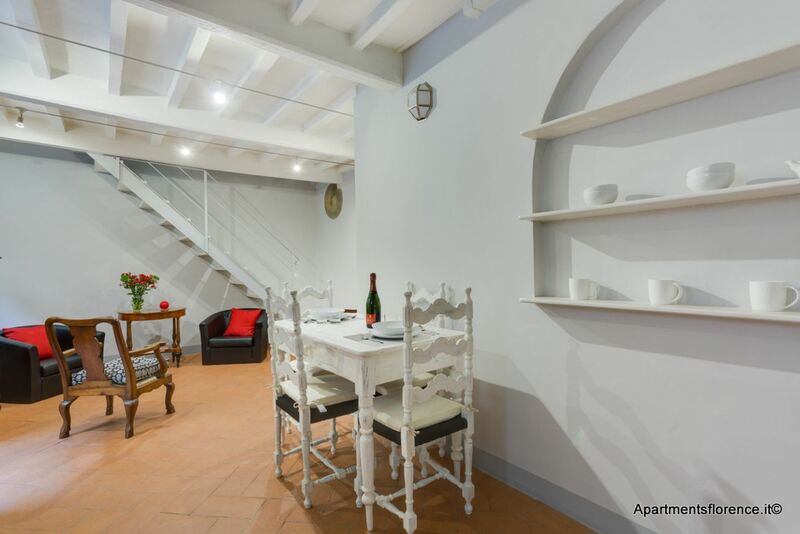 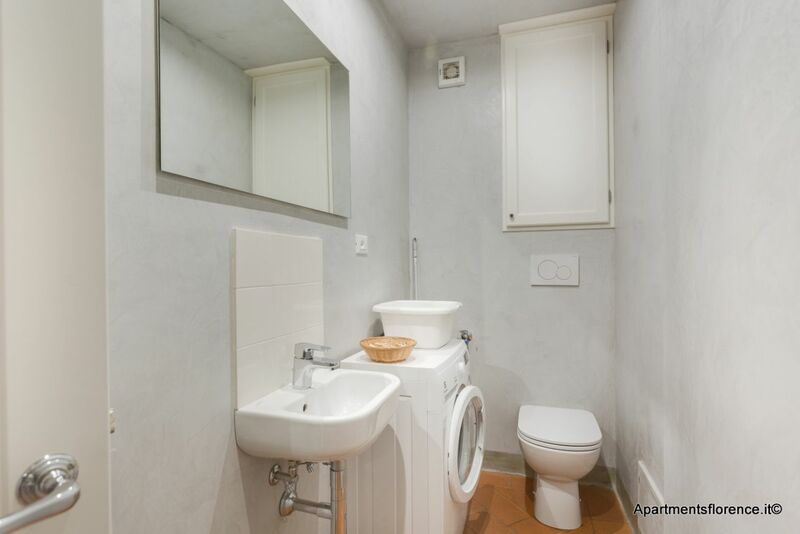 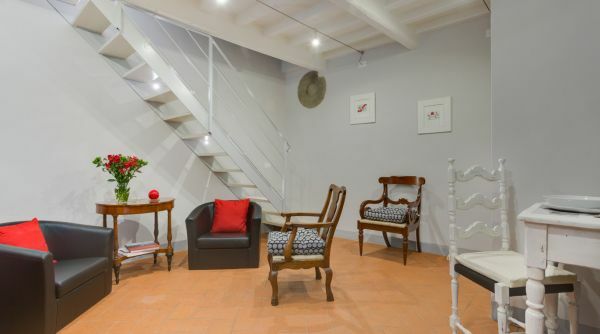 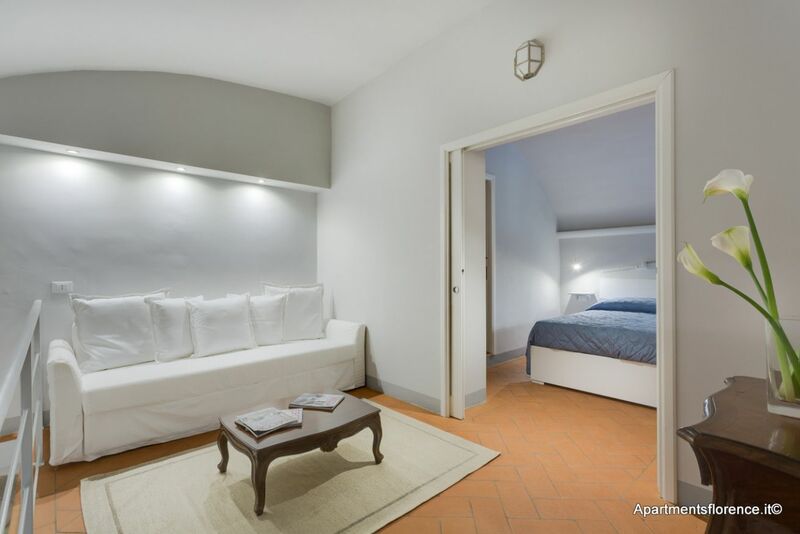 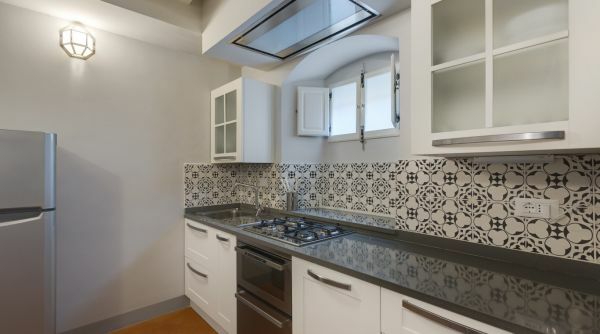 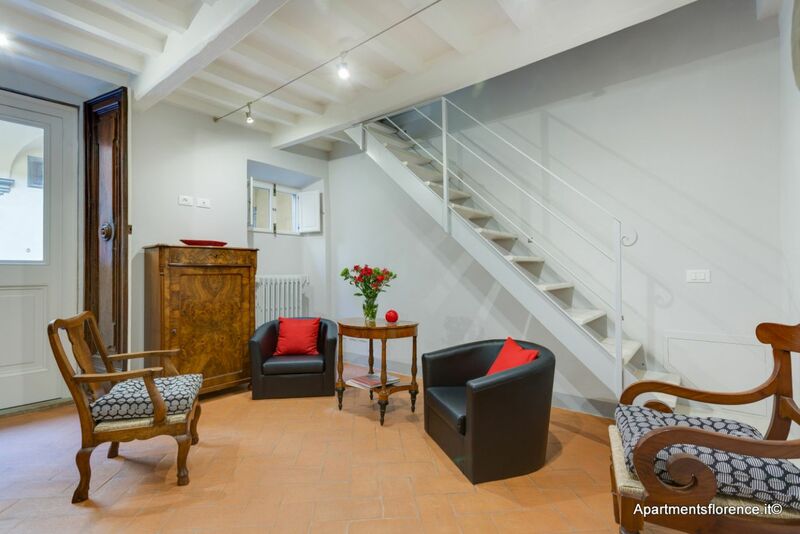 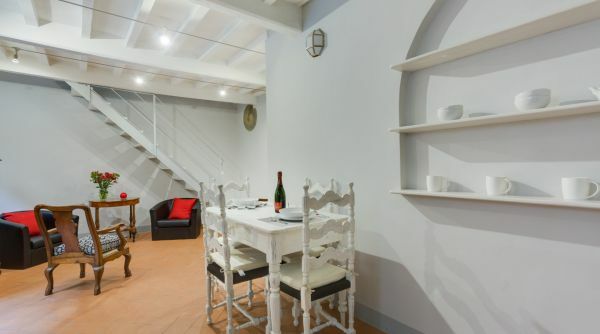 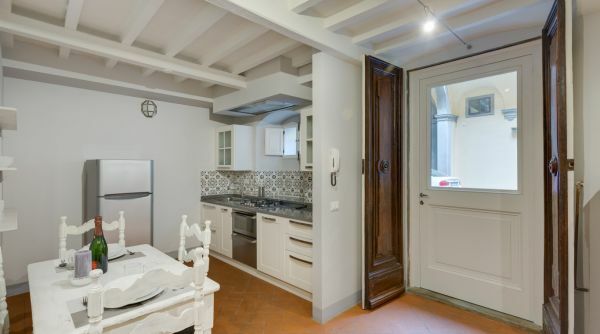 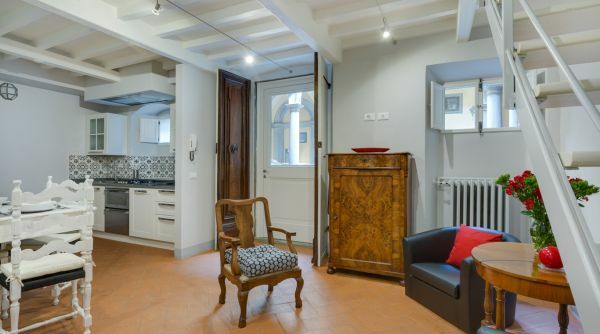 The whole place has been newly redone and redecorated combining rustic features, such as the wonderful terracotta flooring, and modern comforts to create a relaxing, charming and chic ambiance for you rental apartment in Florence. 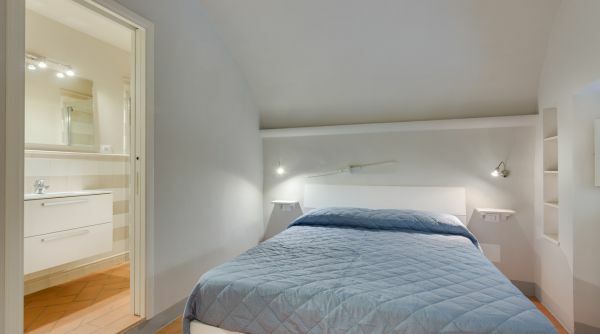 Its unique position ensures privacy and silence, being away from the street and inside an elegant building. 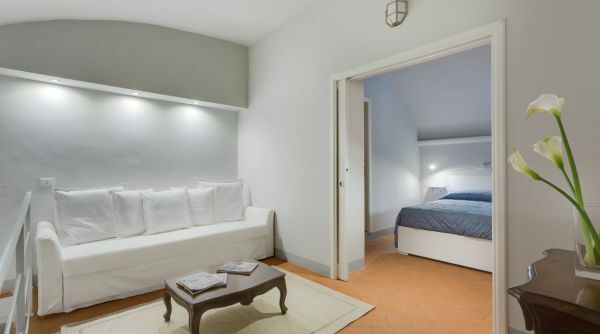 The apartment is set on two levels and can accommodate up to four guests thanks to the master bedroom with en-suite bathroom, a double sofa bed and an additional half bathroom. 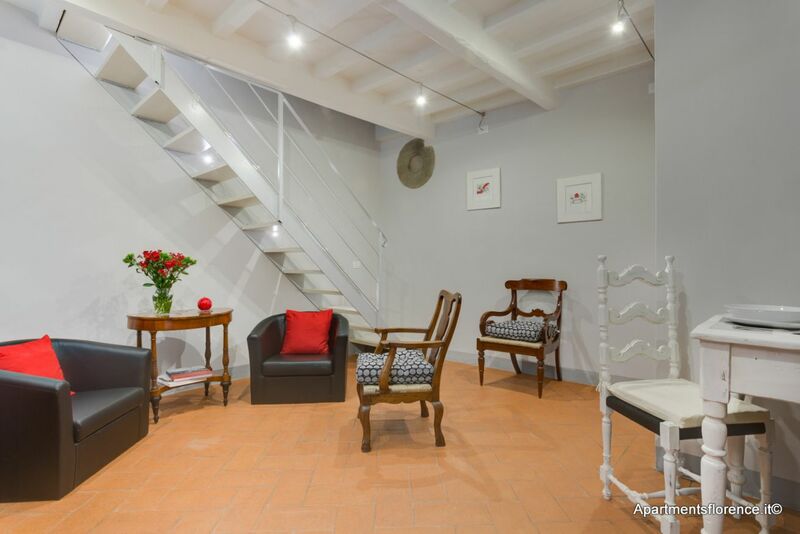 On the ground floor you'll find the welcoming open space living area, consisting of a nicely decorated and fully equipped kitchenette, with dining table, plus a relax area with armchairs and coffee table. 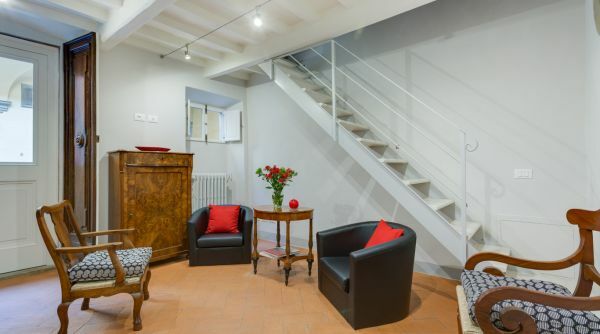 A staircase leads up to the mezzanine floor, where you'll find a nice living room with a comfortable and large double sofa bed. 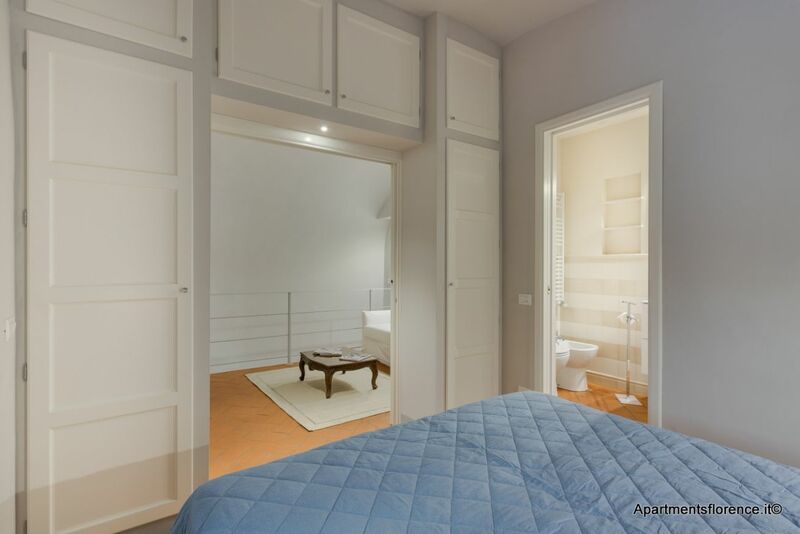 The master bedroom, right next to the living room, is nothing but an elegant and charming suite, with queen size bed, built-in cabinets for storage space and a lovely private bathroom with walk in shower. 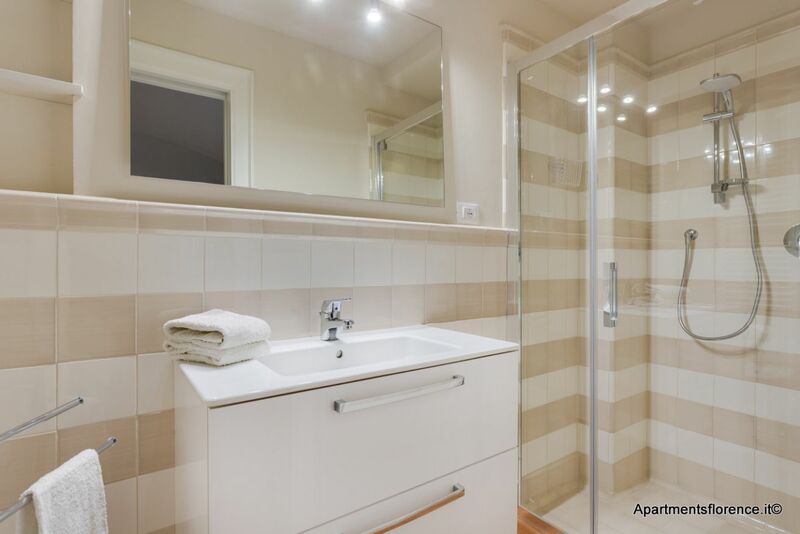 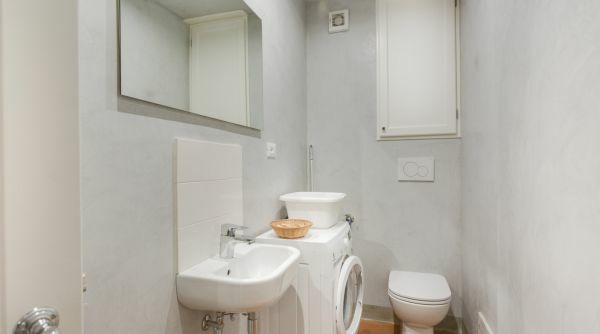 An extra half bathroom, equipped with laundry facilities, is to be found downstairs. 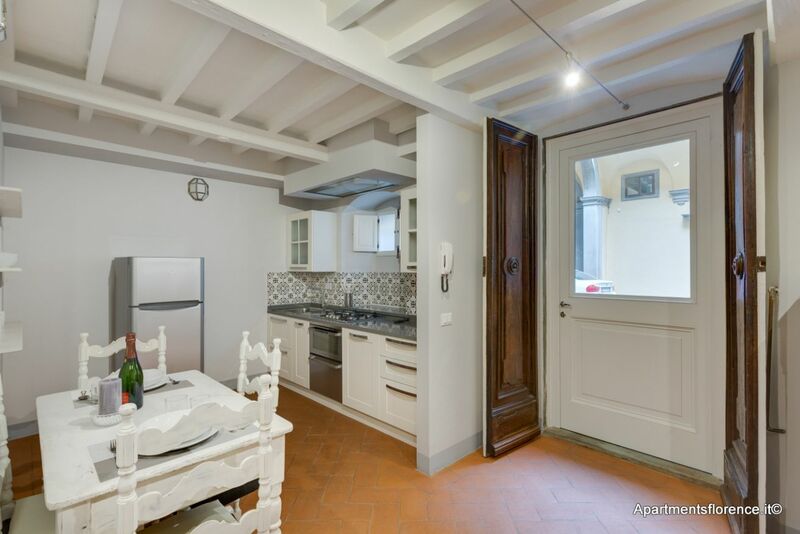 A comfortable apartment beaming with Florentine style: this well located gem is a wonderful choice for those looking to experience a chic holiday in the historic center of Florence. 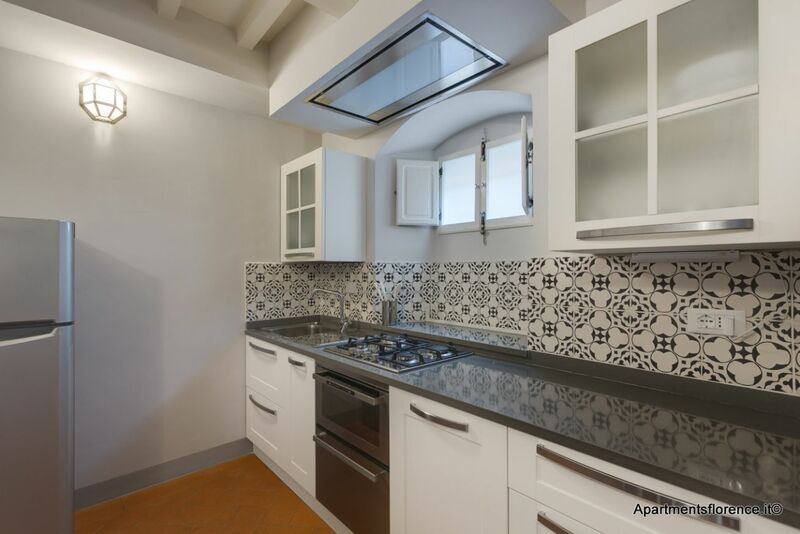 The apartment is located in the Oltrarno area, renowned for its authentic restaurants, renaissance streets and historical ties to the Florence of the past. 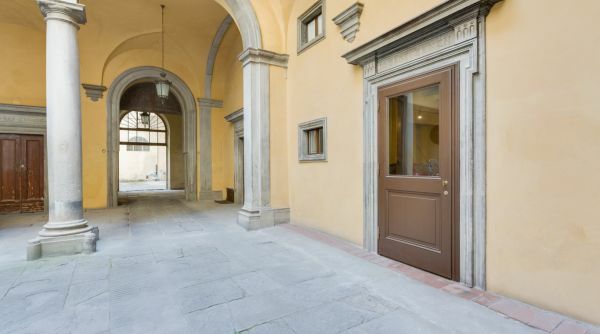 Just steps away from Palazzo Pitti and a short walk to Ponte Vecchio, this picturesque neighborhood is a favored by all Florentines. 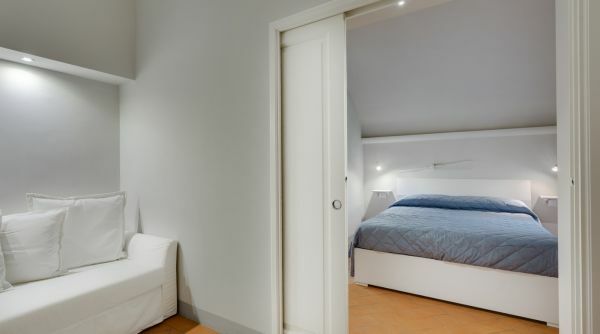 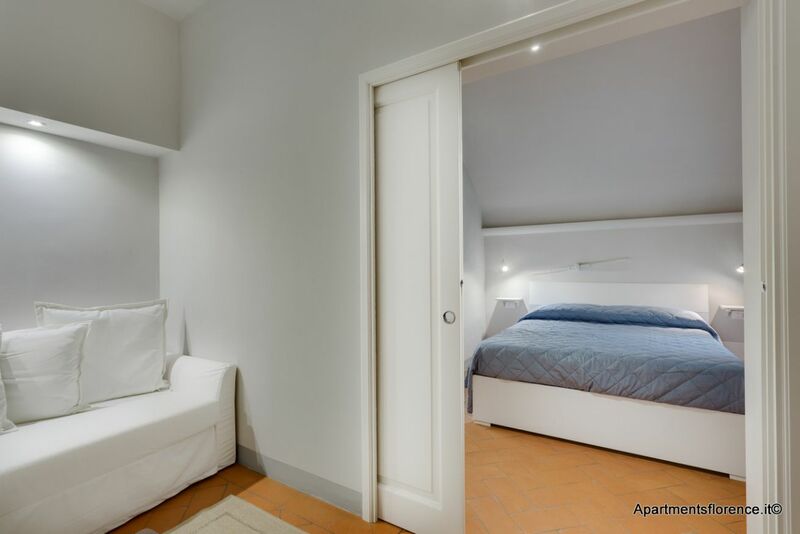 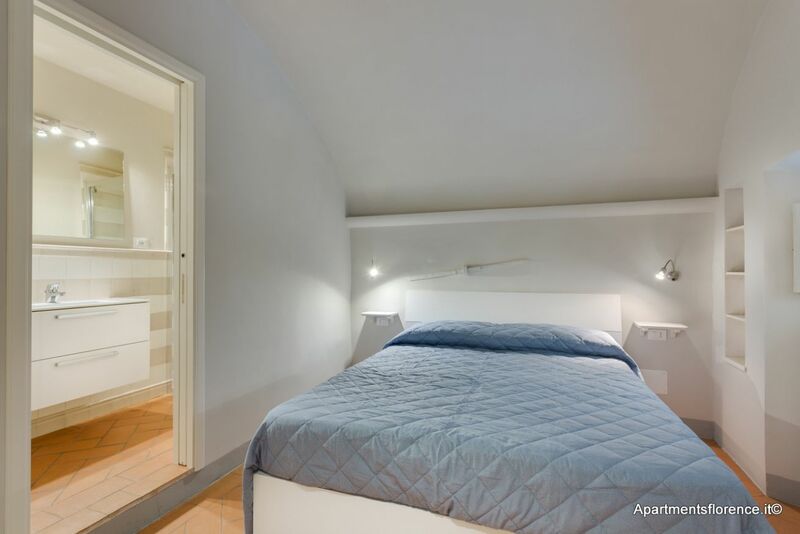 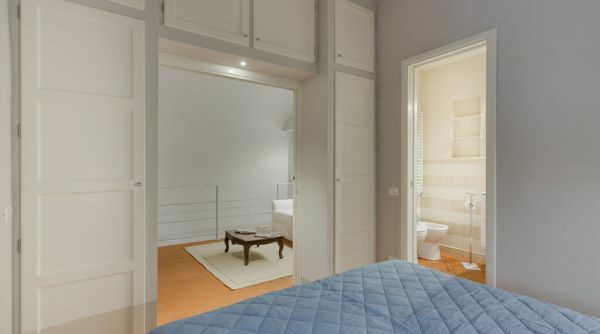 This apartment in downtown Florence is managed directly by Apartments Florence's qualified staff, to guarantee you the highest quality of service and assistance during your stay in Florence. 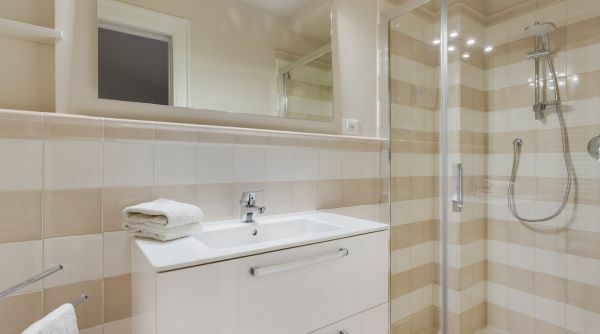 Note: one and a half bathroom.